Kerrymaid spreads are extremely versatile and suitable for use in a variety of cooking applications, from baking to shallow frying or just simply for spreading. 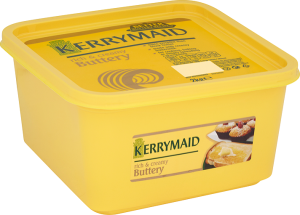 Kerrymaid spreads have all the great taste of Irish butter but the convenience and functionality of a spread. Watch Kerrymaid development chef Lee Williams demonstrate the versatility and convenience of Kerrymaid portfolio through a range of different uses and professional applications.